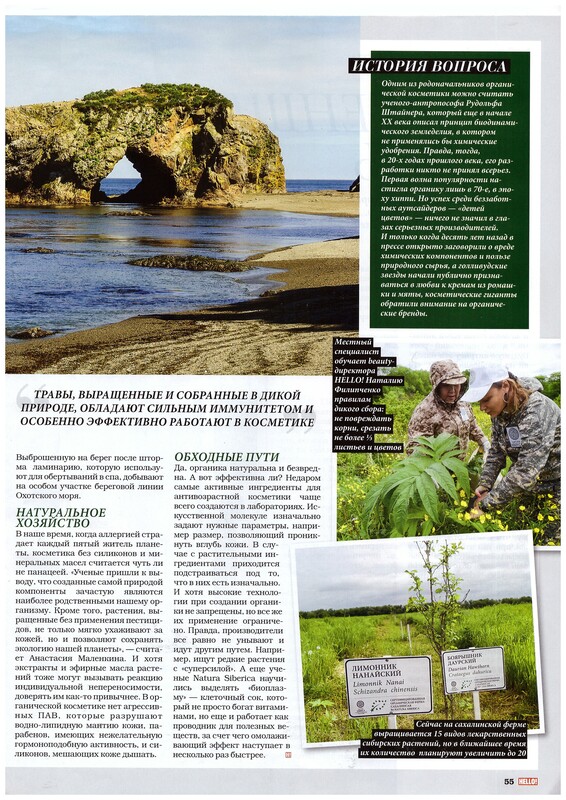 Due to its extreme conditions, Siberia offers the world plants with unique health and beauty benefits such as can hardly be found anywhere else in the world. To survive Siberian herbs and plants synthesize highly protective active ingredients and have extraordinary antioxidant properties. Thus, thanks to its amazing power and vitality, Snow Cladonia remains green even under the snow when the temperatures drop down to -50C. It contains a unique form of usnin acid, which is believed to work magic on skin, actively restoring the cells and effectively slowing down the aging process. Siberian Dwarf Pine still grows a centimeter every month despite of permafrost conditions on sparse and stony soil. Arctic Cloudberry, adapted to survive temperatures of -50?, produces twice as much vitamin C as a lemon and Wild Altai Oblepiha contains the second highest source of natural Vitamin E in the entire plant kingdom. Siberian Salvia is a natural medicine for the Taiga animals, whenever wounded they seek this magic plant to heal the soars of different kinds. 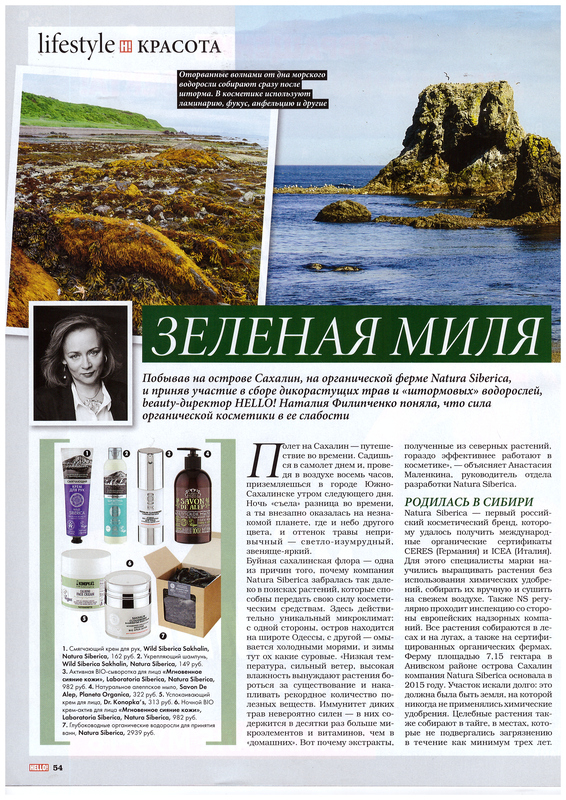 We use all these unique properties of Siberian plants to create cosmetics that will fulfill your skin with extraordinary vital power. The modern history of adaptogens began in the 1940s, when Russian botanists Lazarev and Brekhram investigated over 4,000 plants and herbs and finally identified twelve very special of them as adaptogens. By 1984 Russian scientists had published in excess of 1,500 pharmacological and clinical studies on adaptogenic herbs. 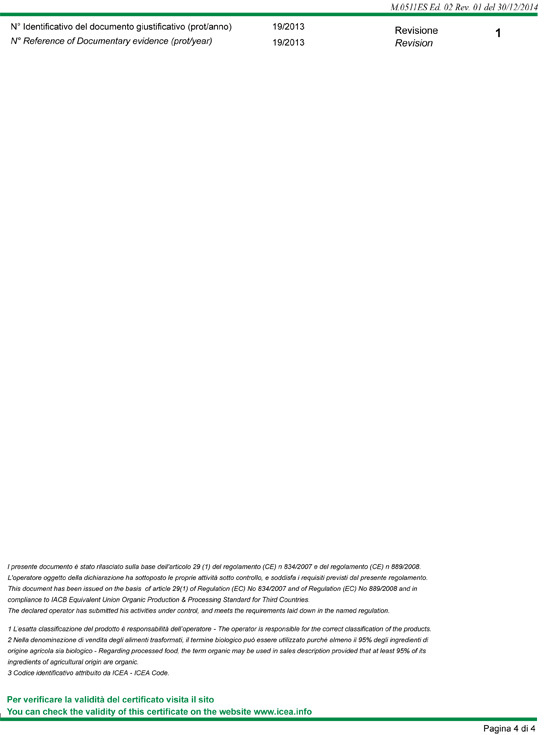 This research into the adaptogenic properties of plant continues today and there remains little doubt that adaptogens increase an organism’s adaptation to stress and have a normalizing influence on our physiology and skin health. These unique plants survived the Ice Age by adapting to one of the planet’s most severe environments: Siberia. As a result, they possess rare qualities which help to enhance general well-being, and when used therapeutically, are renowned for slowing aging processes of the skin. Rhodiola Rosea (Golden Root) – “Russia’s Best Kept Secret to Health and Longevity” (Dr. Howard Peiper). It is highly renowned for its fantastic adaptogenic properties. There are more than 20 species of the Rhodiola in nature, however due to such key active components as Rosavin, Rosarin and Rosin which according to many tests can be found only in Rhodiola Rosea of Russian origin this Siberian plant is thought to be a remarkable remedy to delay aging. Ginseng Siberian – is a shrub that is very resistant to extreme Siberian cold. It is famous for its adaptogenic properties and for the whole range of minerals peculiar only to this type of ginseng. In Russia this plant has been traditionally used to heal infections, cure diseases and improve the look of the skin. Limonnik Nanai (Schisandra) – a herbal vine Siberian plant. Its cherry-like fruit is well known for its natural healing abilities, making it one of the most effective adaptogens on the planet. In Russia Limonnik has been traditionally used by Nanai hunters to improve night vision, as a tonic and to reduce hunger, thirst and exhaustion. Limonnik Nanai is full of vitamin E, a natural vitamin beneficial for the skin, anti-oxidant with healing and protection capabilities. It is also high in Vitamin C, minerals and essential oils. Manchurian Aralia provides rejuvenation and strength of the skin by improving its resistance to the external factor and detoxification. With a stimulating, tonic and adaptogenic action, it provides positive effect on the dry and sagging facial skin, restoring elasticity and smoothing out wrinkles and fine lines. It beautifully tones the skin, making it a velvety, delicate. Addressing the excesses and failures of current developments is a key challenge for our society. Establishing a “sustainable development” that would reconcile economic progress, social responsibility and maintain the natural balance of the planet is a project in which the cosmetics sector is willing to be fully involved. The application of the principles of sustainable development in economic activity implies however changing patterns of production and changing consumption practices. 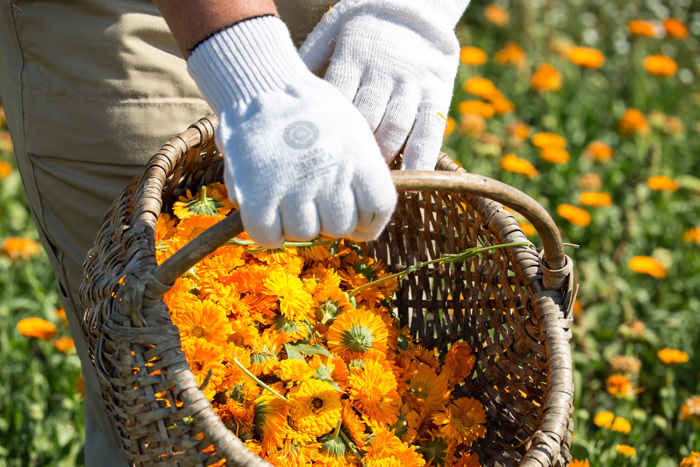 Recognising these challenges, the responsibility of its actors, the organic and natural cosmetics sector clearly shows its ambition to go further in sustainable development with the setting at the European and international level of a new standard for organic and natural cosmetics. 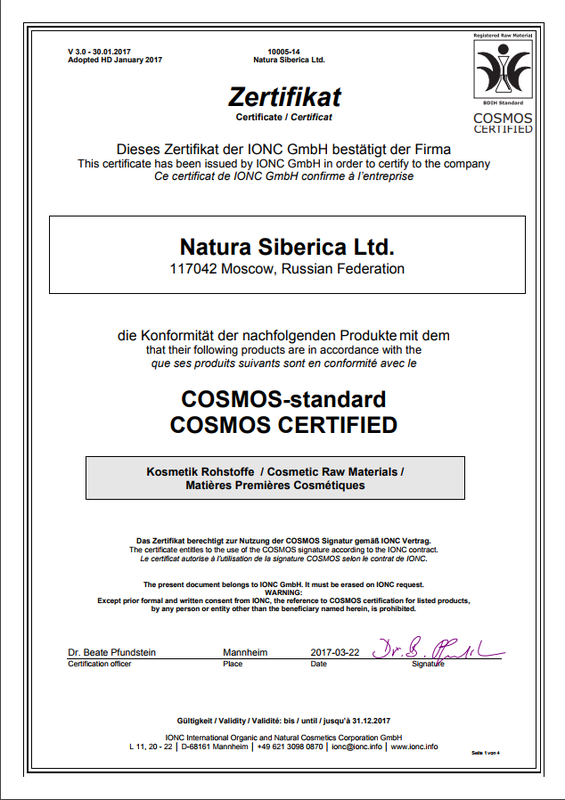 The COSMOS-standard is a new cosmetic certification developed to harmonize various certifications and labels in order to create one standard that is internationally recognized for natural and organic cosmetics. 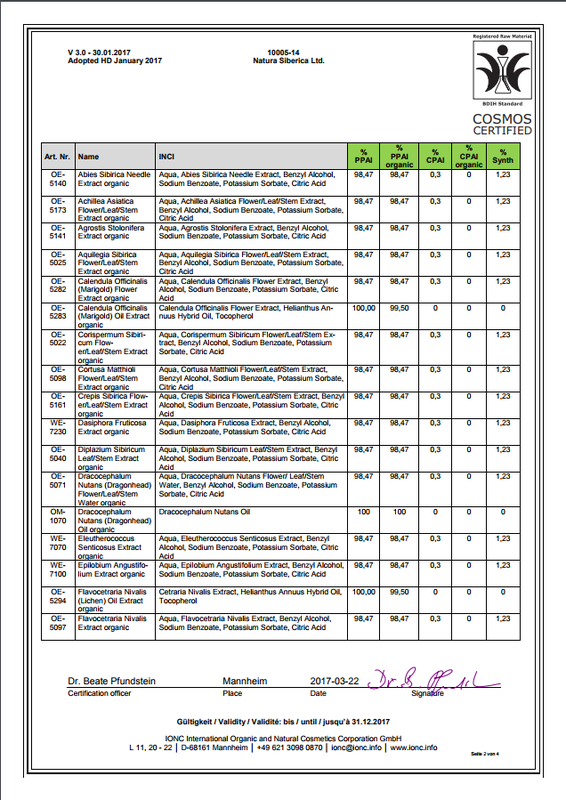 • Inspection, certification and control. The standard goes beyond analyzing ingredients used to formulate the final product. 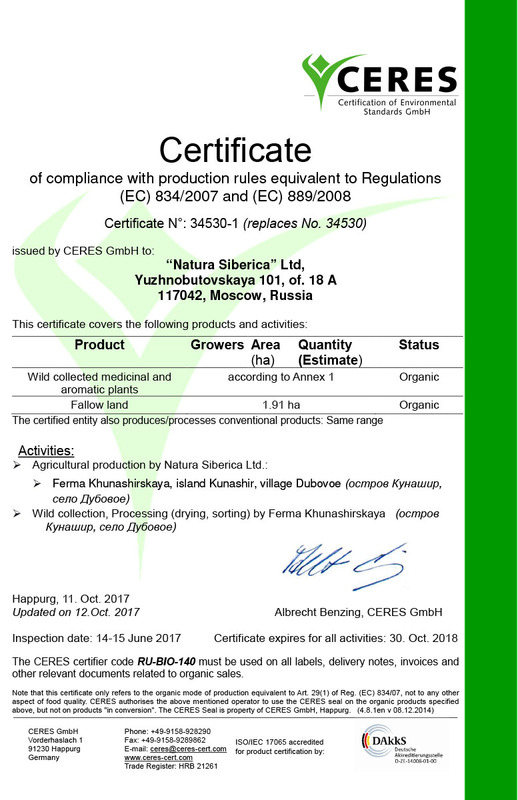 It takes a comprehensive approach to natural and organic certification involving a review of the product’s total environmental and human impact. 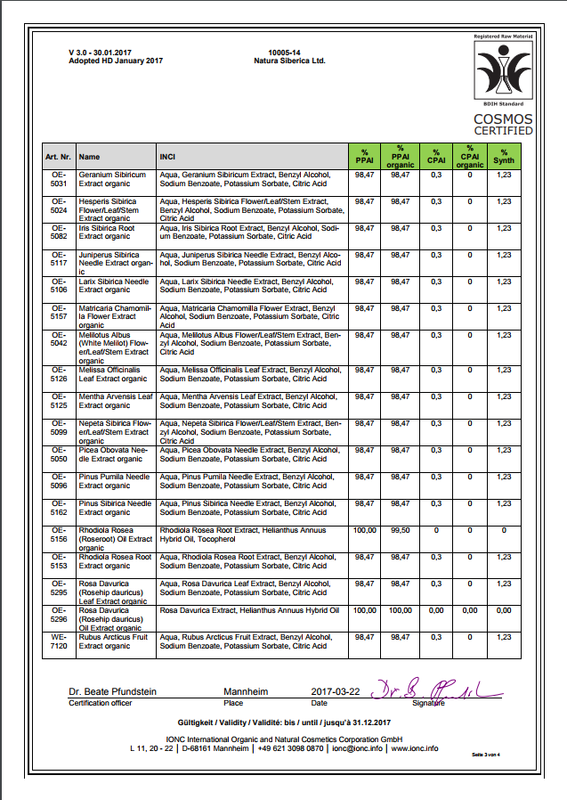 ECOCERT: an inspection and certification body for sustainable development. 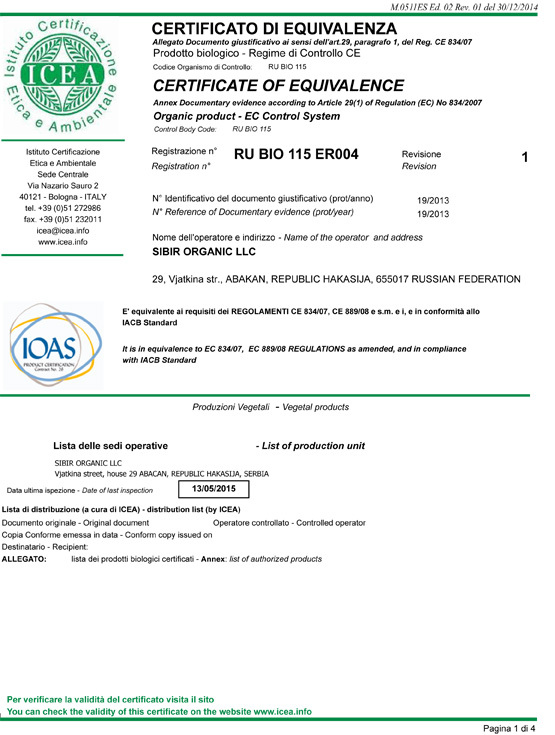 Founded in 1991 in France, it conducts inspections in over 80 countries, making it one of the largest organic certification organizations in the world. 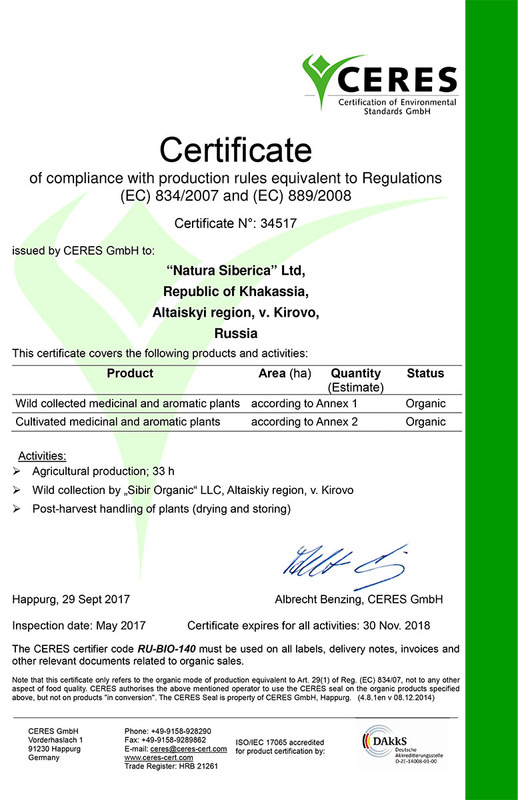 Guaranteeing purity and quality, the ECOCERT certificate is both the most stringent and prestigious standard among the manufacturers of natural and organic cosmetics. 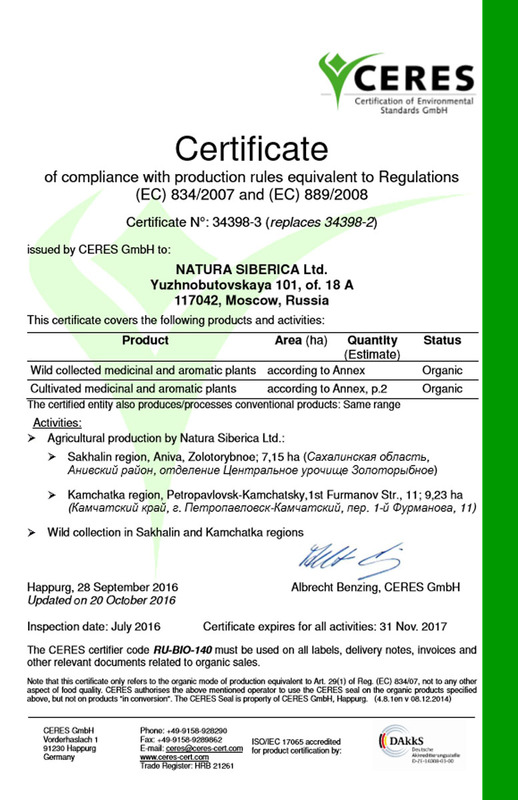 It establishes requirements for formulations of manufactured products containing natural ingredients and for the quality of vegetable raw materials. 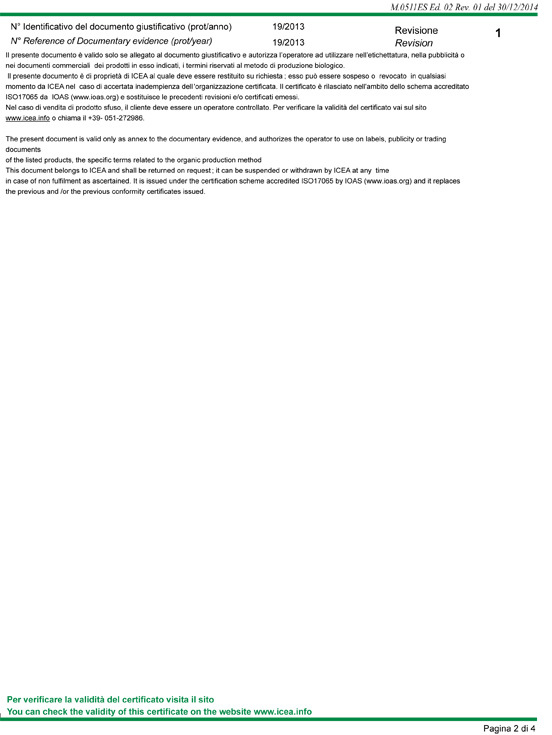 The use of animal ingredients, refined petroleum products, and the practice of animal testing are prohibited. •	Seeds of plants are not subjected to genetic modification. •	Chemical fertilizers are not used on farms. •	Pesticides are not used. Pest control is carried out with the help of natural enemies or non-toxic alternatives approved by ECOCERT. Products are manufactured and stored in eco-friendly premises. Special documentation procedures allow you to track the production of cosmetics, from quality raw materials and packaging to its final delivery to the consumer. Twice a year, ECOCERT conducts an inspection of production lines to confirm that all of its requirements are being carried out. 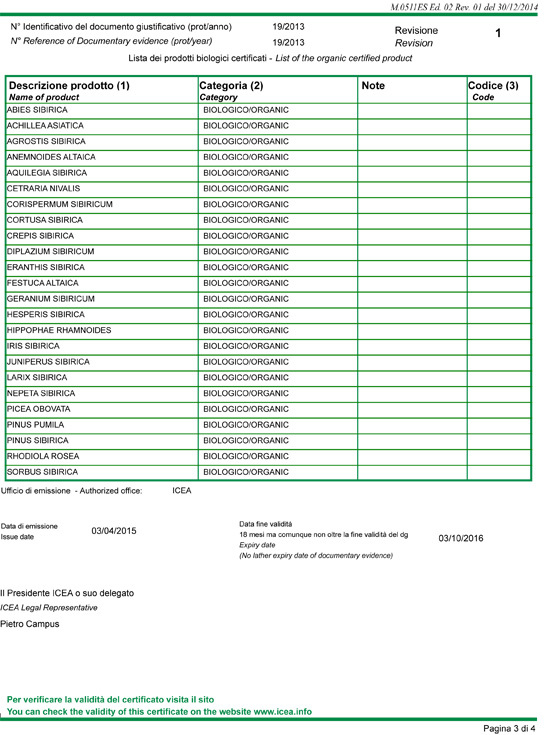 ECOCERT not only regulates the components of its cosmetic products, but the entire production process. 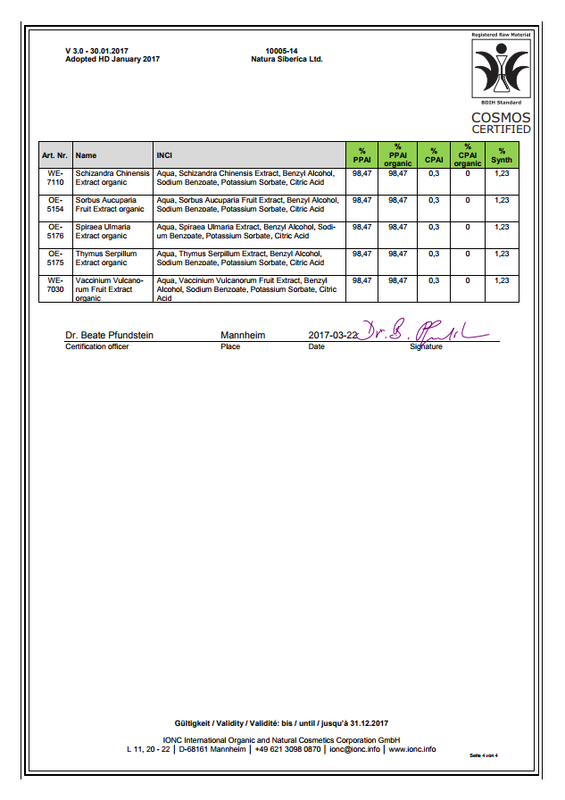 Products certified by Ecocert are eco-friendly as well as the enterprise which produce it. 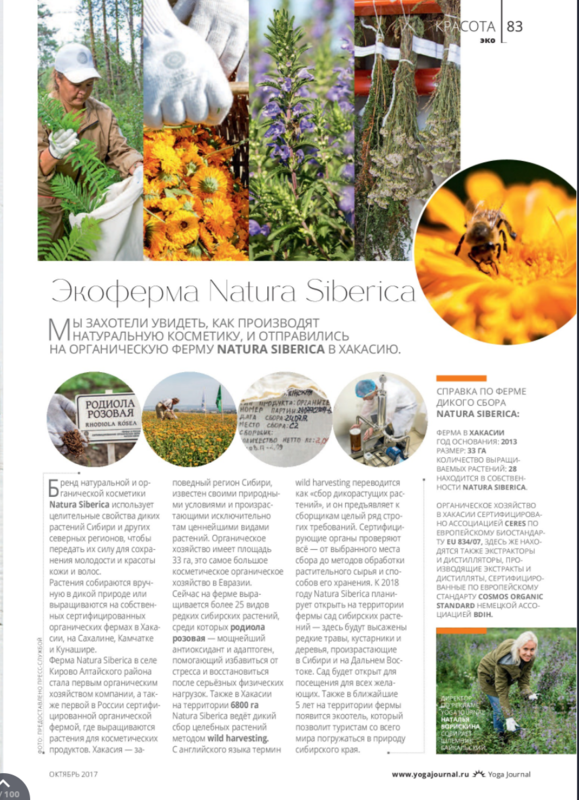 We at Natura Siberica are committed to purchasing wild Siberian herbs in an ethical and responsible way so as to help sustain livelihoods of indigenous people of Siberia and Russian Far East. There are 41 ethnic groups and each of them has preserved its own language and unique culture. Some of these groups have less than 1000 people left. Thus, there are only 540 Aleut and 276 Tazy people left. This is why we strongly believe that our help is a vital step in the preservation of distinct cultures and traditions of Siberian tribes. We pay premium prices for wild manually harvested herbs and plants in order to help small Siberian tribes so that they could not only take care of their families but also to meet social and environmental needs of their community. Thus Natira Siberica aims to bring positive changes in those people lives. Just by choosing to by one of our products you are helping small indigenous Siberian tribes, their families and their surrounding communities. 2019 © Natura Siberica. All Rights Reserved.